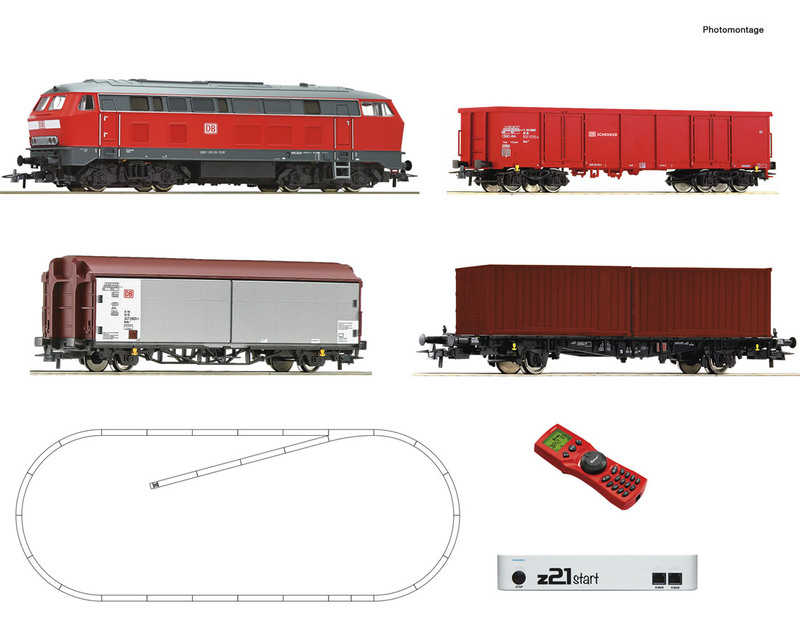 z21 start Digitalset: Diesel locomotive class 218 with freight train of the Deutsche Bahn AG. Upgrading with a WiFi router and activation code, Art. no. 10814 and thus use of smartphone, Tablet-PC, WiFi MULTIMAUS 10813 and computer (Software-protected model train control) is possible.